that are good for every citizen. and healing to sick people. Amen. 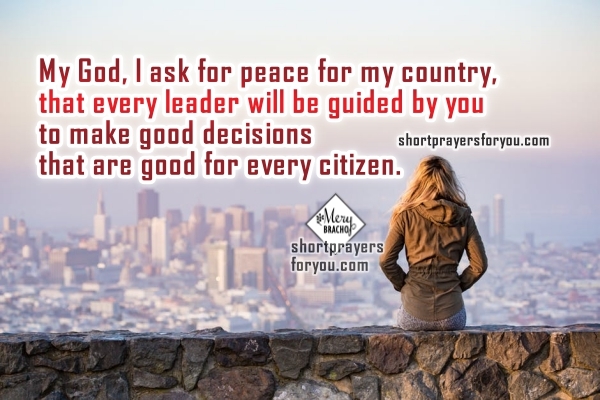 Short prayer for my country, peace to people, nice prayer with christian image by Mery Bracho. Good night, God. We will have a quiet sleep. Christian prayer for the night.